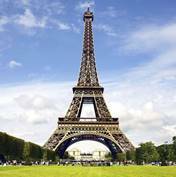 The University of Maryland School of Public Policy will offer a for-credit international graduate course where students will learn the tools of program evaluation and apply them as they prepare policy analyses or research syntheses for real-world clients in Paris. Classes will be in English and will be held in Paris, France, from July 1 to 13, at the Pantheon-Sorbonne as well as the Organisation for Economic Co-operation and Development (OECD). Some assignments will be due before and after the two weeks in Paris. This study abroad course is designed for doctoral, masters level, and advanced undergraduate students studying economics, public policy, public administration, and other social policy-related subjects such as education, international development, political science/governance, public health, social welfare, sociology, and urban planning. Applications are possible until March 1.